b) the implementation of institutional audits, by means of which the quality standards of Higher Education Institutions (HEI’s) or parts of HEI’s (e.g. faculties) can be verified. Institutional audits examine various aspects of the institution, such as planned and current study programs, infrastructure, organizational and management structure. The AHPGS promotes the quality and transparency of university study courses and of Higher Education Institutions (HEIs) and guarantees uniform, internationally competitive quality standards for Bachelor’s and Master’s degrees. This is accomplished through program accreditation procedures and by following the quality standards for private and state-approved higher education institutions. Founding members of the AHPGS are the Rectors’ Conference in Nursing Sciences, the Assemblies of the Faculties of Social Work and of Therapeutic Pedagogy as well as the German Coordinating Agency for Public Health. The AHPGS conducts its activity alongside various institutions of higher education. Its work involves assessing particular competences in the fields of health and social sciences. The specifications of the German Accreditation Council are consistently implemented, with the aim of ensuring an education that is in accordance with the European higher-education standards. 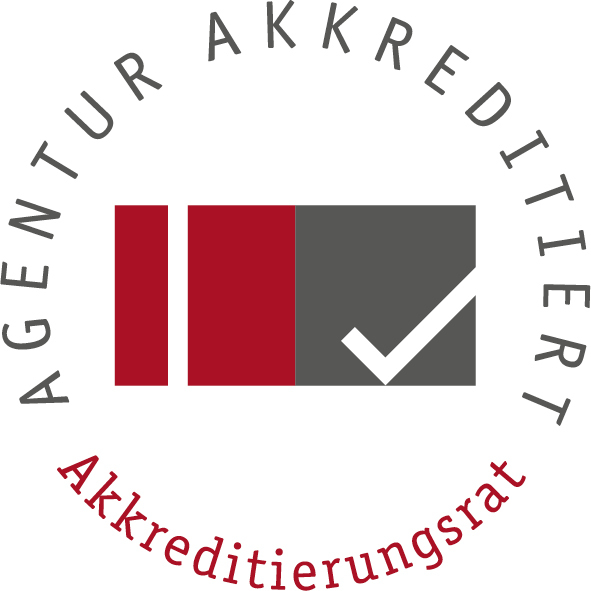 In this respect, the AHPGS implements the “Criteria for the Accreditation of Study Programmes” of the Accreditation Council (the most recent valid version is taken into consideration), the specifications of the Standing Conference of the Ministers of Education and Cultural Affairs of the Bundesländer (KMK) and of the German Rectors’ Conference (HRK), as well as the international criteria of quality assurance, particularly the “Standards and Guidelines for Quality Assurance in the European Higher Education Area”, of the “European Association for Quality Assurance in Higher Education” (ENQA). By implementing accreditation procedures, the AHPGS contributes to the improvement of the overall quality of teaching and learning. The HEIs remain responsible for fulfilling the quality assurance. Nonetheless, the HEIs, students and employers are given reliable orientations pertaining to the quality of study programs. Of course the individual national and international demands of recognition of degree programs are also taken into consideration within this process. In order to maximize its own work quality, the AHPGS has established a productive collaboration with national and international peers. From its beginning the AHPGS has made its goal a constructive cooperation with the German Accreditation Council, as well as with other accreditation agencies in Germany. A permanent information exchange takes place with other national and international accreditation agencies as well as university representatives, practitioners’ organisations and associations. The AHPGS holds excellent relations with foreign accreditation agencies. Since 2004 AHPGS is a member of the “European Consortium for Accreditation (ECA)”. Since 2006 AHPGS is a member of the “European Association for Quality Assurance in Higher Education” (ENQA) and since 2009 AHPGS is a member of the “International Network for Quality Assurance Agencies in Higher Education” (INQAAHE). Since 2009, the AHPGS is listed in the “European Qualitiy Assurance Register” (EQAR) and since 2012, AHPGS is member of the “Network of Central and Eastern European Quality Assurance Agencies in Higher Education” (CEENQA).